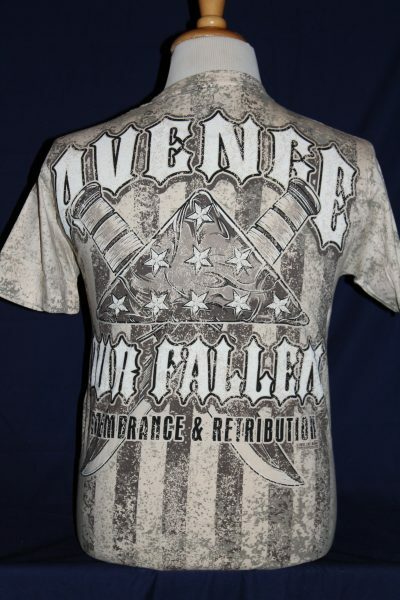 The AvengeOur Fallen T-Shirtis a two sided jumbo print shirt in color sand. 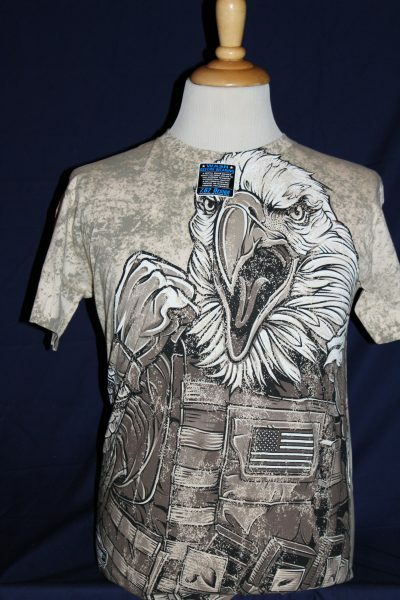 Front Design: American Eagle in combat vest. 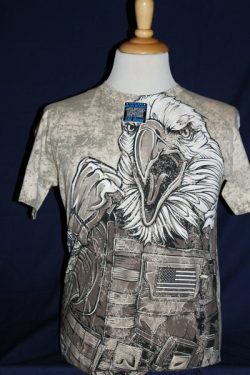 Back Design: Crossed Knives, Flag stars, and text.